Some things mom are worried about! Note:This list can never be claimed to be complete. But it is solely based on our own experiences. Driving license - Getting a driver's license here is a cumbersome and costly affair. The Belgian license is typically valid for 50 years and in all the countries!  None of the Indian driving licenses, neither IDP nor the state driving licenses, are accepted in Belgium. However you can use your Indian License to reduce the minimum time period of your required training. However you still have to go through the whole procedure of obtaining a fresh driver's license once you are in Belgium (written exam + practical training sessions and the final practical exam) which may cost you about EUR 1250 and atleast about a months time. People who come to Belgium on a short visit (< 3 months) can still use their IDP. If you like Roti(s)/Chapati(s), you can bring electrical ROTI maker(TORTILLA) which is available in almost every place in India. If you like hand-made Roti(s)/Chapati(s), bring a rolling pin. Flat bottomed kadaai/vanali - not easy to get here. If you are planning to get some other vessels from India, you should get flat bottomed ones (You might have only a hot plate in your room). In general, all kinds of vessels are available here. But it is good to carry small kadaai for giving tadkaa from top. A good 'daav' is always an useful thing to take. Coconut scraper machine - you can get this hand-operated machine in India. You can also do without it here - with a mixer. But if you like scraped coconut more than a mixer-crushed one, you should carry the scraper. No need to carry a grater (for carrots/cucumber), there are equivalents available here. Small crusher (khalabatta in Marathi) for crushing cardamom (Elaichi). Basic spices are available - i.e. spices like mustard, jeera, turmeric, methi, hing... But you should bring spices like saambaar, rasam powders, chhole masaalaa, puliogare/puliyodarai mix, and other special asaalaas/mixes(if you prefer they are home made). You can get branded ones here which are not as good. Jaggery(gooL) is available here, but of lesser quality. You can bring your own, if you fancy. Papads are available here (I think Lijjat). Ghee - you will never get good quality ghee here like Amul's and Aawins's. But here you can get some other UK-made ghees. Other sensible option is to make your own ghee from butter. There are Nepali/Pakistani shops around here in Leuven which have Indian food items. Some of the common ones are Everest House (@Brusselsestraat 128, Leuven) and Asian Supermarket (opposite St. Pieter's Hospital on Brusselsestraat). Also there are such shops in Brussels and other cities where you can buy lot more things. But all of such shops here are North-Indian/Bengali food dominated. You can try some of Indian spices in Vietnamese/Thai shops here too. Umbrella - it's a rainy continent. "Atmosphere in Leuven is very casual. People wear casual wears most of the times. So no need bring too many formal clothes". Most of the clothes are expensive (approximately atleast 2-4 times than in India) here, especially children's. In winter, people wear thicker cod-dry pants and in summer, thin loose pants. Temperatures in winter can scale down to -10C to -15C in nights. Temperature on summer days can rise till 35C. In winter, it is better to wear many layers of thin wears than a single thick wear. If you already have, a good raincoat (you will need it on cycle here), also sweaters/pullovers for winter. Dont buy it there if you dont have one. You will get good quality things here for reasonable prices. Cap, belts are expensive here. Shoes are not that expensive. Table clothes - expensive stuff here and still not much wider/nicer variety. Same with bed-sheets. Medicines - it is good to have your own small medicine box, especially some simple medicines like Paracitamol, Vicks, Iodex. Also it is better to know if you are allergic to anything (drug or anything else - eg. peanuts). Electronic equipment (TV/VCR/music-systems) - No need to bring them from India. You can get them here at reasonable prices. But things like batteries, bulbs, shaving blades are expensive. Your own music items - Indian music - CDs/cassettes/videos/instruments are rarely available here. If available, it will be expensive in terms of price to quality ratio. It is the best to get those things from India. Music cassettes/CD's are recommended if you are a fan. The electric power supply here is of type 220V/50Hz. Video cassettes are of same type as in India (PAL). Books are expensive here - carry your own essential books, especially technical (or study related). Also you will hardly ever find any Indian language book here. Making a new spectacle here is a costly thing which is also one of the things not covered by insurance. Carry a spare spectacle. Else wise insurance benefits here are quite impressive. Laundry- Typically you will wash your clothes in public laundry machines. This thing you can not possibly afford to do everyday (it will be time consuming and expensive to wash daily), so carry enough spare clothes (in dozens looks reasonable) - especially undergarments. Lot of variety of tea leaves are available here, along with tea bags. But most are much lighter. If you prefer stronger Indian brands, you will need to carry it with you. Sewing kit - such a thing is always useful.